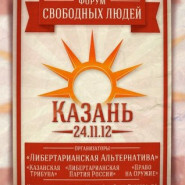 Kazan, the capital of the Tatarstan Republic of Russia was the venue for the 6th session of the Free People’s Forum on November 24th 2012. 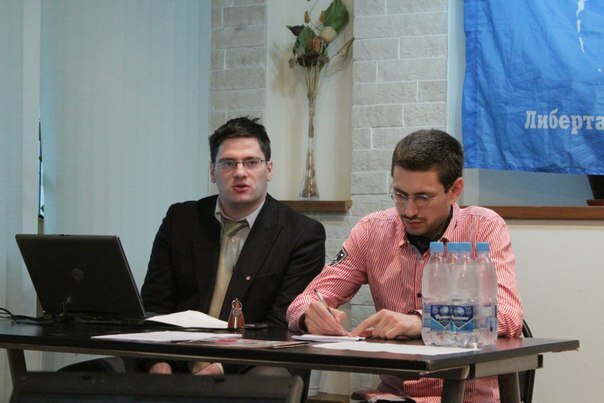 It was planned and arranged by the Libertarian Party of Russia and the Kazan Tribune Debate Club. 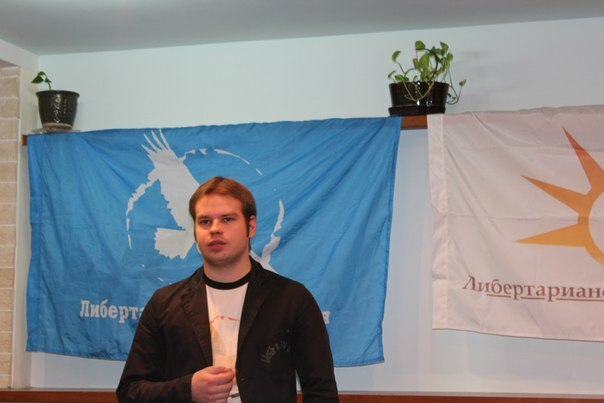 The forum brought together libertarians from across European Russia and there were debates on topics such as The Psychology of Freedom’, ‘How Austrian Economics can turn a socialist into a libertarian’ and ‘Busting a myth: ..You don’t need a government to tackle healthcare, pensions and education….’. The moderators were Andrey Shalnev and Maxim Tulenin. 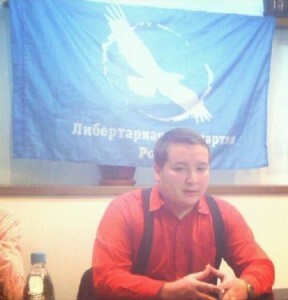 Nikolay Vasilyev (Naberezhnye Chelny, Tatarstan, Libertarian Party of Russia): Welcoming remarks. Dmitry Chizhevsky (St Petersburg, Libertarian Alternative): ‘Libertarianism and Tolerance’: Should libertarians welcome government-organized anti-xenophobia campaigns or support same gender marriage legalization by the modern state. 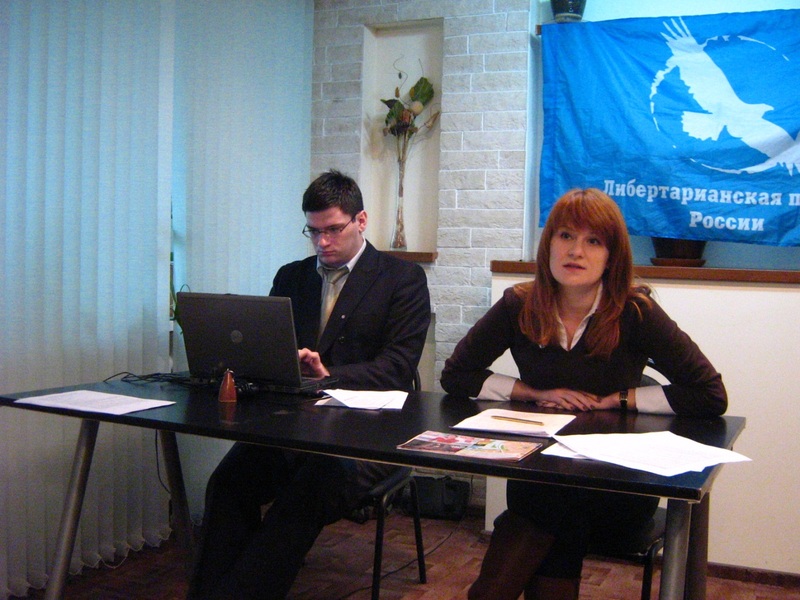 Maria Butina (Moscow, Chairwoman, ‘Gun Rights’): ‘Gun rights and non-governmental law enforcement’. 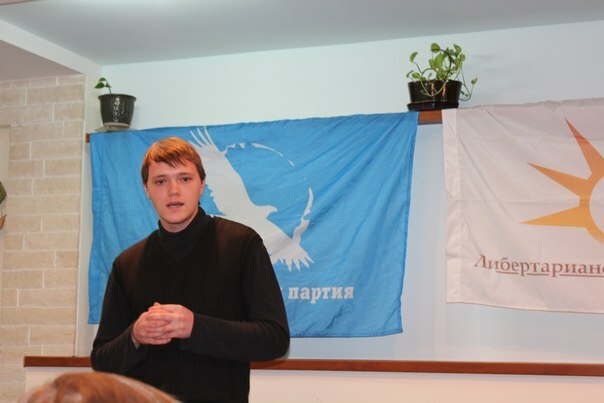 Yury Polozov (St Petersburg, Vice Chairman of the Libertarian Party): ‘The Psychology of Freedom. How to try and make the Russian society more susceptible to the ideals of liberty’. 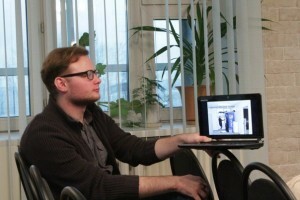 A humorous but deep interactive lecture. Ilya Burkhanov (Kazan, Libertarian Party): ‘How “Austrian” Economics can turn a socialist into a libertarian: A success story’. 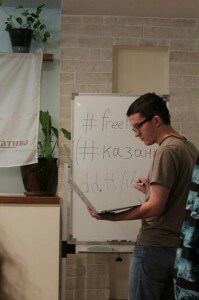 Sergey Venevitinov (Kaluga, Libertarian Party): ‘The 3 ways to enforce a prohibition. How to ruin any well-meant plan by dint of ill-advised government-imposed restrictions’. 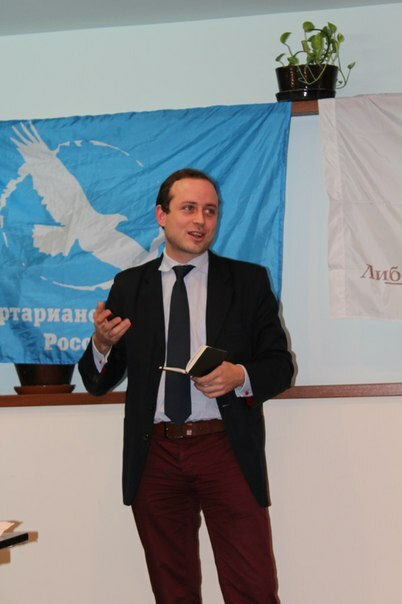 Dr. Julius von Freytag–Loringhoven (head of the Friedrich Naumann Foundation Russia & Central Asia): Welcoming remarks for the 2nd section of the Forum. Andrey Shalnev (Pushkino, Chairman of the Libertairan Party Federal Committee): ‘The current political landscape & likely scenarios for the year ahead’. 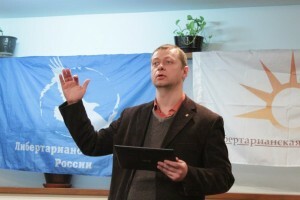 Vladimir Osenin (Moscow, member of the Libertarian Party Interregional Council): ‘The Libertarian Party on the “political map” of the country.’ The Party’s involvement in the brewing protest activities. 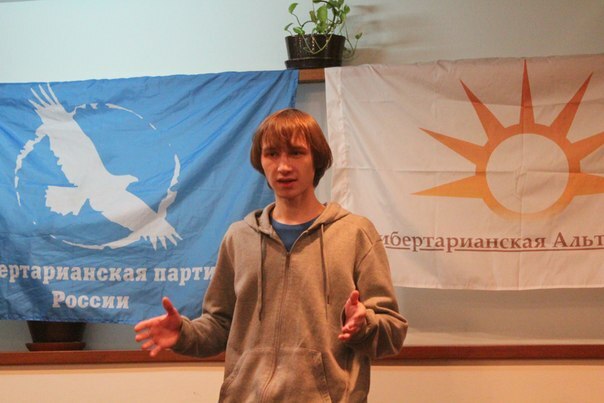 Fedor Korshunov (Nizhny Novgorod, Libertarian Party): ‘How to successfully build a regional party branch from scratch’ (and how to avoid getting arrested at a street protest). Sergey Boyko (Moscow Region): ‘Busting a Myth: Human services under a libertarian regime’. 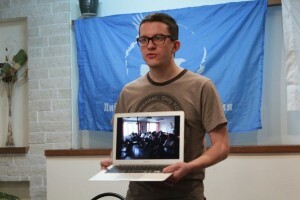 You don’t need a government to tackle healthcare, pension, education and charity. 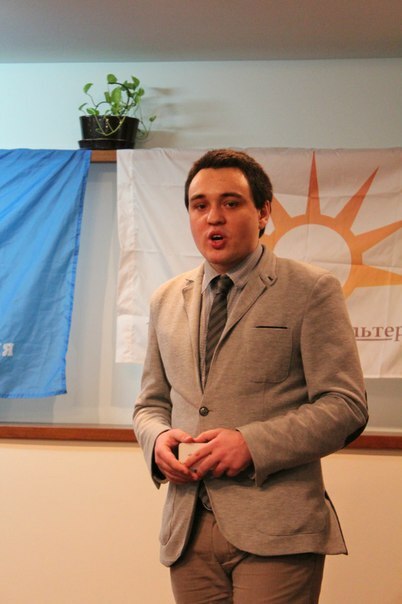 Alexander Parshakov (Tatarstan): ‘Federalism vs. Unitarian State: the post-Soviet experience and the challenges faced by Tatarstan’. Raïs Suleymanov (Kazan, Head of the Volga Region Centre for Regional and Ethno-Religious Studies). 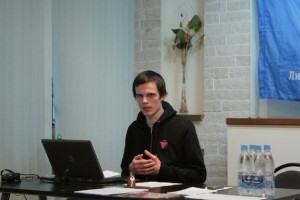 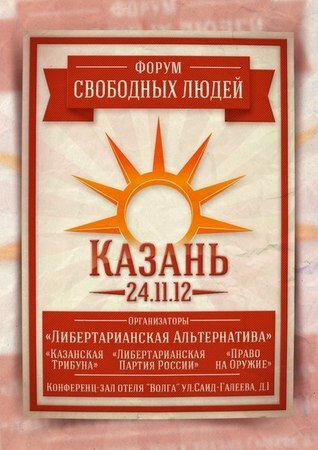 ‘Islamic Fundamentalism in Tatarstan’. 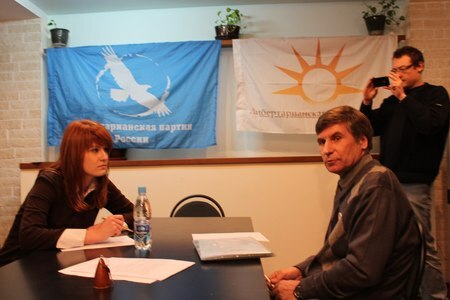 Debate: Maria Butina (‘Gun Rights’) vs. Farid Zakiyev (the Republican Party of Russia): Rights to carry concealed weapons: pro & contra. Emcee: Dmitry Chizhevsky (Libertarian Alternative). 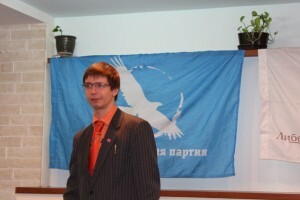 LPR monthly The Atlant, Ideas for the Free Society CDs and a number of libertarianism-themed books were distributed among the audience for free as usual.